Fluffy Bunny and I had an amazing detour when we went to race at Buttonwillow. 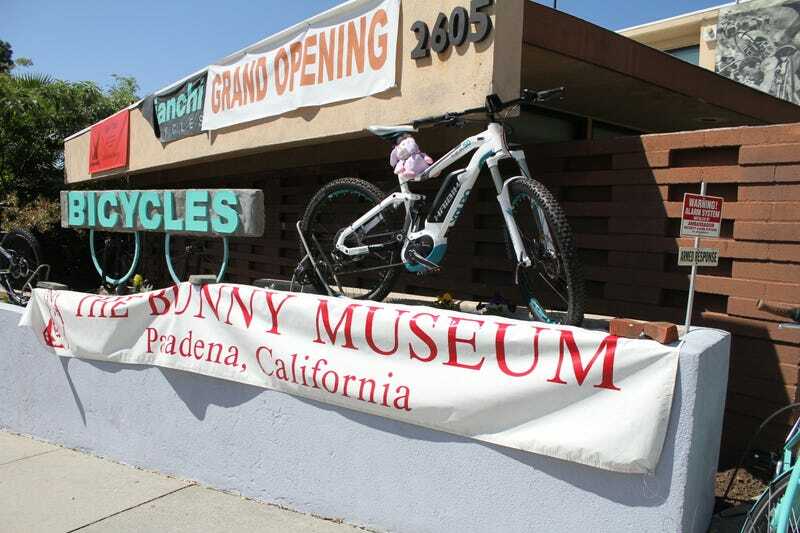 The one, the only, the floppy hoppy...Bunny Museum. There are so many bunnies that there’s more bunnies outside! Puff found plenty of friends! I recognized a few buns. I have the little blinking bun! There’s a whole holiday section, too. Cascarones spotted. Haha. There’s even more bunnies on the ceiling in a few spots. Puff’s favorite room was the one full of other stuffed bunnies, of course. There weren’t any Puffalumps per se, but some Puffalump-like bunnies that I thought were cool. There were even other little animals in bunny slippers. We’re here for the cars, too. The biggest Puffalump-like bunny there was hidden in a dark corner. Awww. We know that feeling, Coffee Bunny. Fluffy among the land of her purple people. Pretty sure I got the purple bunny when Beanie Babies were a thing. If your business name is “Conejo” anything, you have to have a bunny. Some of the buns were extravagantly stuffed!